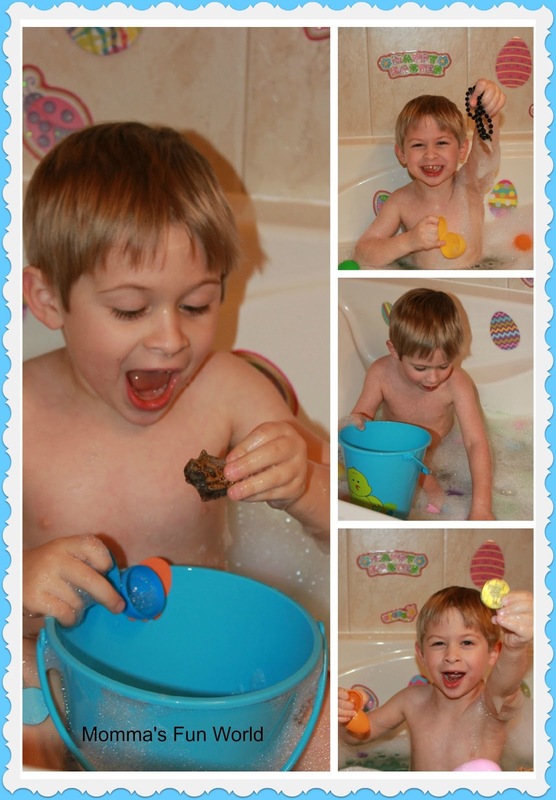 Then had the kids come in and gave them their baskets and they hunted for eggs under the bubbles. No joke we have done this bath 3 times now since I set it up last week. Jake is into it more then Cate, but they both loves doing it. 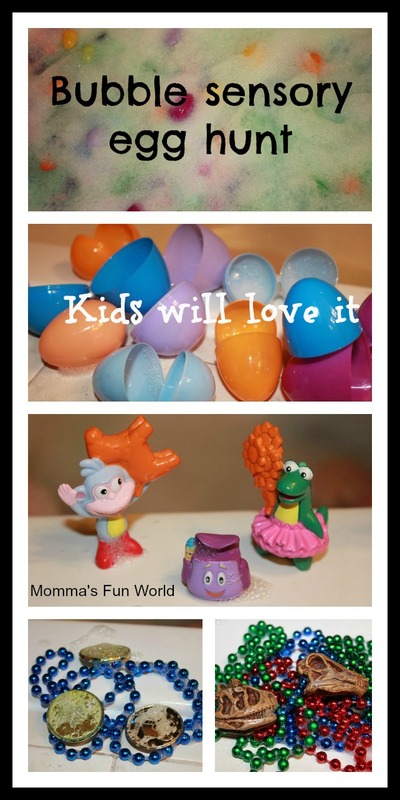 Super fun and great memories to make with your little ones. 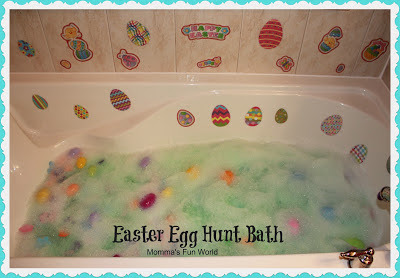 We did this in the bath tub, but you can do it in a sensory bin like we did our firework bubbles. Thanks so much!! My kids loved it we have already done it several time. Would love to hear how it goes with the kids. Thanks for sharing. This is a great idea. Snagging it for this up coming Easter! Thanks!! Vada will love it. Please let me know how it goes. How fun!! We'll have to give this a try! 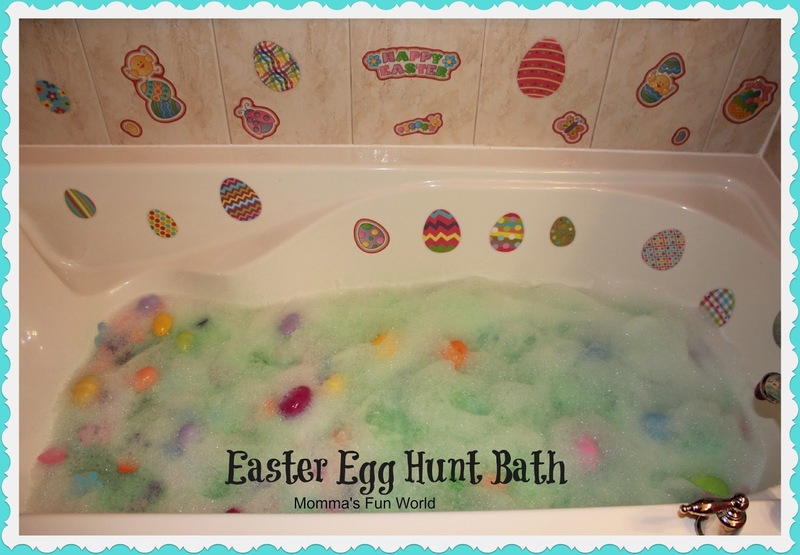 Whatd you use to turn the bath water/bubbles green? You can put green kool-aid or green food coloring in a spray bottle and it works like spray paint. it's looking just amazing blog about the bath tub,.